As your dedicated automotive specialists, we’re committed to providing you with the highest quality service. 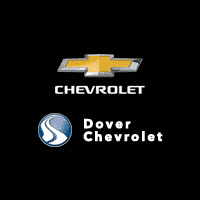 We pride ourselves in ensuring that we get you back on the road as quickly as possible, which makes choosing Dover Chevrolet the best choice. Being in an accident can be scary and figuring out your next step can be daunting – we all need our cars and want them back as soon as possible! Taking the pain out of the car restoration process and getting a customer’s car back on the road is just as important to us as the car restoration work itself. With over fifteen years of experience providing body shop, auto restoration and car detailing services to the Greater Boston community, we have built a reputation for providing a full spectrum of vehicle restoration services without sacrificing the highest quality standards. We have several auto body repair locations that make it convenient for you.